Lessons in combat showed that a heavier weapon than the 7.5cm gun was needed. 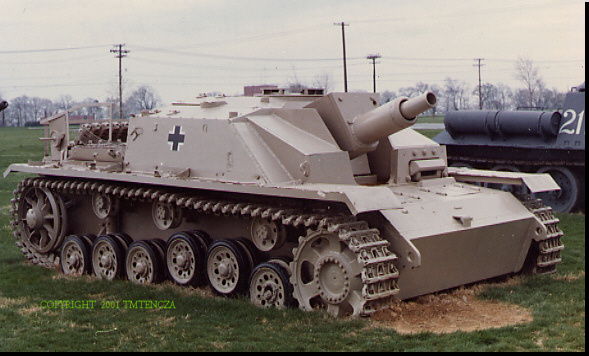 Same hull and superstructure as StuG Ausf F & G. Gun mount was altered to take the 10.5cm StuH. Some 68 were used in the Kursk offensive. Over 1200 were produced. Original versions carried a muzzle brake and could fire with supercharge. It was deleted during 1944. 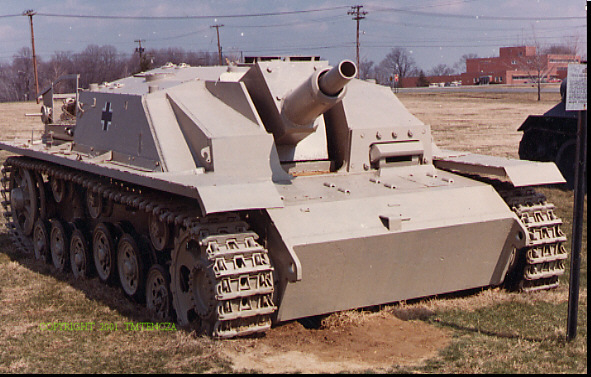 Most StuG III assault guns were under control of the artillery. They were used primarily in an anti-personnel role, although they could also fire hollow charge ammunition against armor. NOTE: Gun is locked in recoil position.